Mother's milk is known to contain exceptional nutrients, which makes it a precious food for infants. Soaps made of mother's milk are said to have the ability to benefit sensitive skin and soothe skin irritations such as eczema. It is also popular to be used as face soap and is said to work magic on skin. To mother, it is also a great way to turn leftover or expired mother's milk into something the babies can derive benefit from. Before ordering, please make sure you have or will be able to collect at least 240ml/8oz or 300 ml/10oz of mother's milk. ♥♥♥Promotion valid for 3 batches RM 400 (n.p.RM450) which you can pick all RM150 types or pick from webshop or my special list and also can customize according to your skin and preference. Then for any single batch of lotions you can purchase with a price of RM 100 (n.p. RM160).FREE 1 Purple Magical Ointment 20g If Add on minimum 1 batch of lotion. 11. Artemisia- heal skin lesions, insect bites, and bruises. 21. Purple roselle+yurong-double layer- brightening and reduce wrinkles. 22. Seven white+pink clay-double layer-lemon eo & may chang-whitening, reduce scars and make the skin glow and radiant. *MOIST :If you prefer MOIST texture that benefit eczema, sensitive , flaky, dry, psoriasis and sun burnt skin, please let us know during check out.Thank you. 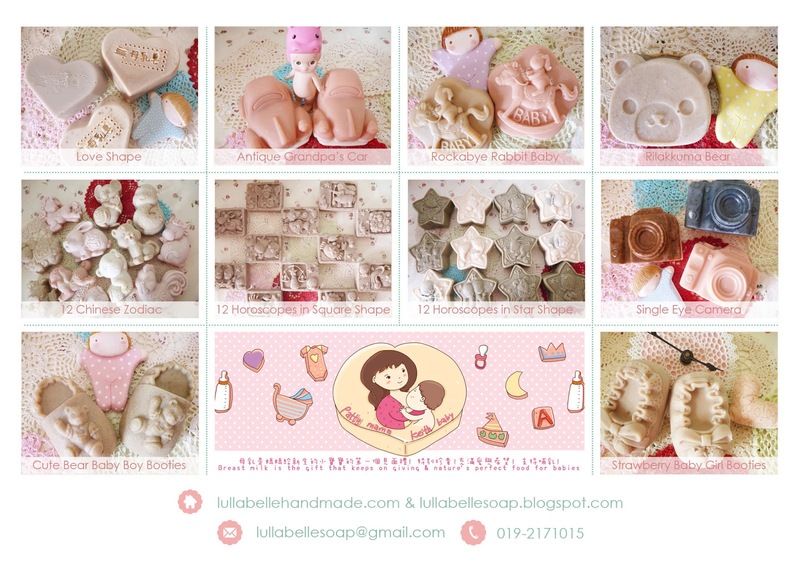 ♥♥♥Breast Milk Soap pattern(皂形): Love shape, Strawberry Baby Girl Booties(草莓娃娃鞋) ,Cute Bear Baby Boy Booties(小熊娃娃鞋), Rilakkuma Bear(懶懶熊),Antique Grandpa's Car (古董老爷车) & Rockabye Rabbit Baby(木马兔宝宝),12 Horoscopes in Star Shape,12 Horoscopes in Square Shape, 12 Chinese Zodiac &Single Eye Camera . 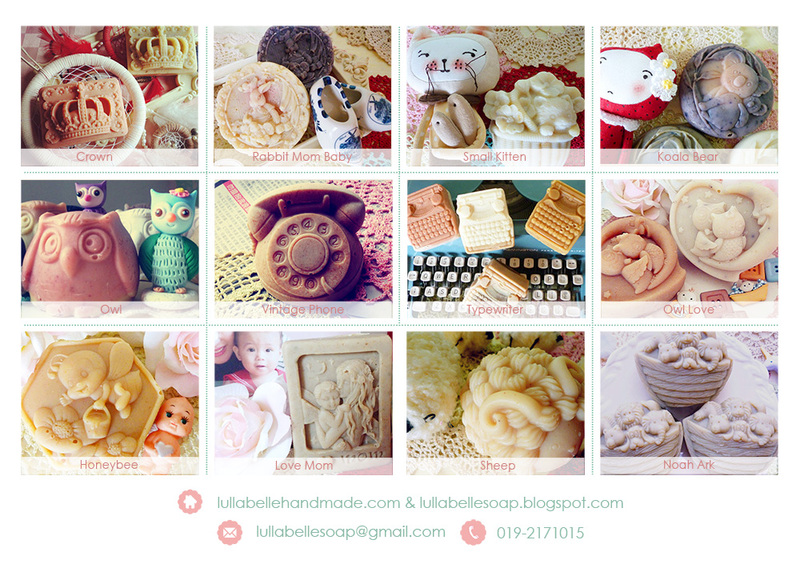 ♥Total 1000g±10g (1 batch) about 10 pieces of soap which about 100g ±10g each. 1.Baby Snow Breast Milk Lotion: it has anti-inflammatory, skin healing properties. Proven to treat dermal irritations in many cases, e.g: eczema and many other skin problems. It is also used to balance the pH of the skin, brighten dull skin, and calm redness. Its regeneration properties help to diminish spots and scars. ♥ ♥ ♥Main Ingredient: calendula oil, sweet almond oil, natural anti bacteria agent, hyaluronic acid,gylcerine, witch hazel water, sweet orange essential oil & lemon essential oil. (Shelf life: 2 years). 2.Baby Mint Breast Milk Lotion: a natural astringent, antiseptic, and bactericide which is of particular benefit to people with acne prone and problem skin. It beneficial in efforts to eliminate eczema, dermatitis, oily skin, and acne. It can also give your skin a healthy, even glow when regularly applied. ♥ ♥ ♥Main Ingredient: calendula oil, sweet almond oil, natural anti bacteria agent, hyaluronic acid,gylcerine, witch hazel water, Peppermint essential oil, Lavender essential oil & Rosemary essential oil. (Shelf life: 2 years). 3.Baby Coral Breast Milk Lotion: its antibacterial, astringent and antiseptic properties prevent and cure skin infection, prevent acne breakouts and soothe broken or inflamed skin. Treat skin infections and helps in easing skin irritation and insect bites. Have peace of mind during outdoors without the hassle and irritation of biting mosquitoes and other pesky insects (repelling insects). ♥ ♥ ♥Main Ingredient: calendula oil, sweet almond oil, natural anti bacteria agent, hyaluronic acid,gylcerine, witch hazel water, peppermint essential oil, lemongrass essential oil & euclaytus essential oil. (Shelf life: 2 years ). 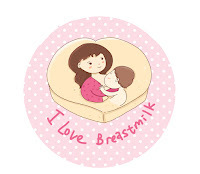 4.Baby Rosy Breast Milk Lotion: Minimize the appearance of acne scars, stretch marks, etc. Moisturize dry, chapped skin and lock in moisture. It has a moisturizing and hydrating effect on the skin, which is great to fight wrinkles. It also balances the natural secretion of sebum, which keeps the skin supple and elastic. ♥ ♥ ♥Main Ingredient: calendula oil, sweet almond oil, natural anti bacteria agent, hyaluronic acid,gylcerine, rose floral water, rose essential oil, rose geranium essential oil & palmarosa essential oil. (Shelf life: 2 years). 5.No addictive or Pure Breast Milk Lotion: shorter shelf life within 6 months -1 year. ♥ ♥ ♥Main Ingredient: calendula oil, sweet almond oil, natural anti bacteria agent, hyaluronic acid,gylcerine & rose floral water or witch hazel water. 1. Add this item into shopping cart and please leave a note with the following details before confirm order with payment. Or once you made payment, please email me the following details. Notes*12 Zodiac or 12 Star or Square Horoscopes have to be in a set of 12pcs. And if you just purchase a batch only and select 12 Zodiac or 12 Star or Square Horoscopes, you have to select only 10pcs from the set or top up for the extra accordingly depend on the types u select. Upon receipt of order and payment, you will be contacted so that we could work out as to how to collect your mother's milk and when the custom batch will be made. Please allow 5-12 weeks after soap production for the curing of this cold-processed soap. -You can send your mother milk thru Yamato Transport or Poslaju or skynet and reaching within the same day or next day! -You need to packed all the required mother milk/ breast milk (liquid milk form) into bottle (soft drink bottle or any bottle will do) or in frozen milk form with ice sheet around it. For KL, Selangor & Seremban:KL/SELANGOR within our coverage will collect from your house, please let me know your location for collection method. or location that we which both are convenient. Shelf life can be anywhere from 1 to 3 years, depending on ingredient variables. After 3 or 6 years, they are still good soaps, possibly faded a bit, in both color and fragrance. Like our regular handmade soaps, our soap requires a cool, dry storage space to maximize its life as well as proper drainage. Handmade soap will last longer than most commercial soaps especially if it is kept dry between uses. It's a good idea to keep your soaps in a dish with good drainage, or in a shower caddy, away from constant contact with water. Another brilliant idea which cut the bar in half and rotate the two pieces, allowing them to dry out thoroughly between uses, making them last longer. To make your soap last longer, let it ‘breathe’ in open air to dehydrate and harden. If you purchase several bars from us, test them by pinching them, and use the hardest bar first. Let the rest sit in open air to harden until you're ready for a fresh bar. Show Cart No products in cart.